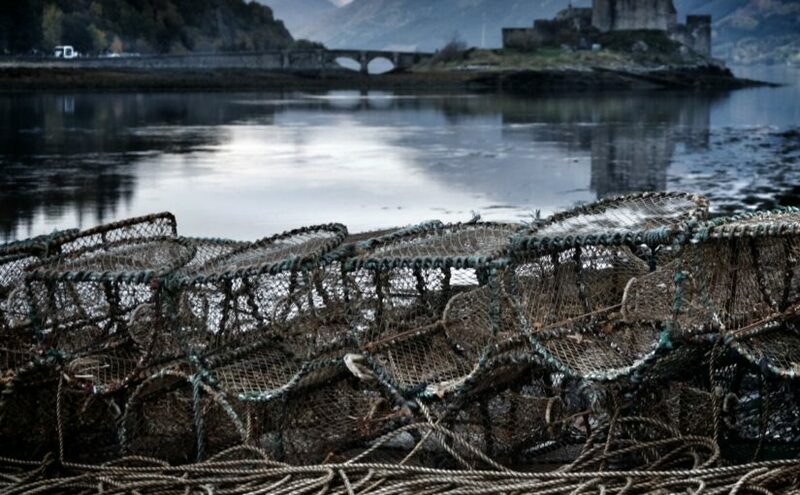 There is so much to do both on the mainland and on Skye that it can be hard to decide where to start. At the end of this post are a few ideas for a full day out starting at Varis. There is a wealth of wildlife on land, sea and sky. Great information is available from http://www.slef.org.uk and we have printed off some off their information and left it in the house. They have a very useful list of Field Guides available to print off. or see the Boat trips listed below. WalkHighlands is a fantastic resource. 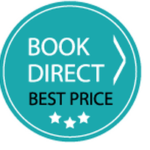 They list walks for all abilities and give grading for difficulty, lengths, details of elevation changes and even a Bog rating as well as detailed descriptions. You’ll find a selection of their local walks on laminated sheets in the house along with local maps and guides. Above Varis rises Sgurr Mor and beyond that Auchtertyre Hill. It’s not on WalkHighland but there is a cracking blog post about this hill which gives great panoramic views – to the east the Five Sisters of Kintail, to the north and Torridon, and to Skye in the west . The picture on the right is of Kintail from Auchtertyre. Applecross (see blog post) via the spectaclar Bealach na Ba road, all of Skye, Torridon are all within reach. GlenElg circuit (see our Blog post), remembering to visit the GlenElg Broch, Kylerhea Otter Haven en route and we are sure you’ll enjoy the last manually operated turntable ferry in Scotland at Glen Elg (Easter to mid October). The picture on the left is of the Skye Ferry. Trotternish peninsula, Skye Storr, Dinosaur footprint, Quirang, Blackhouses and more. For the serious road cyclist, there are some great local routes. Traffic is generally very well behaved to cyclists on the roads. 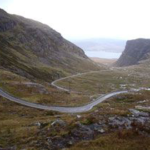 The GlenElg circuit makes a great day out by bike but there are other classics within reach such as the road to Applecross circuit including the infamous Bealach na Ba if you want the challenge of a rise to 2,053 ft.
For mountain biking, we haven’t been able to find great information but many of the Core Paths are suitable jumping off points. There are a lot of routes across Lochalsh accessible directly from Varis and you’ll find an A3 copy of a hand drawn map of the trails in the house. Cycle hire is available here. This is our first love outdoor activity (which explains the generous drying space at Varis). 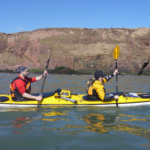 There is some of the best sea kayaking in the world on the doorstep and a number of local providers. A taste of what is on offer is in this sample. You’ll find some more information in the house. These vary from fairly sedate trips suitable for everyone to more exciting (and wetter) trips. Getting onto the sea is one of the best ways to see wildlife, including the local White Tailed Sea Eagles and Golden Eagles as well as seals and if you are lucky dolphins, whales and basking sharks. 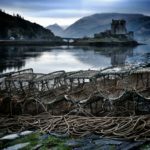 The big names are of course Eilean Donan Castle, Dunvegan Castle and the Clan Donald Centre. But don’t miss the smaller castles or the archaeological sites. The whole area is rich in archaeology and you’ll find a folder with details of a 1996 survey of sites in the house. We rather like Brochs and there are two fine examples by Glen Elg. Much of Skye and Lochalsh is great for sky watching. Outside the main settlements, there are few street lights and therefore star gazing is possible from plenty of places. We provide some information on the stars in the house and binoculars and a telescope – and those all important fleecy wraps for colder nights. Short summer nights aren’t great for star watching but it’s a great activity through the autumn, winter and spring. In addition, Varis is far enough north for the Aurora Borealis (Northern Lights) to be visible. The house faces south, but it’s worth looking for forecasts of activity and heading to a better viewpoint when activity is likely. You won’t regret the effort to see great swathes of light emblazon the sky as shimmering luminescence ripples across the horizon.